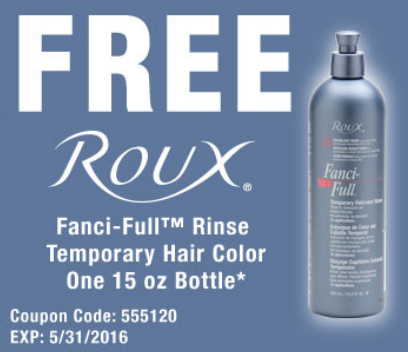 Sally Beauty Supply is giving away coupons valid for a FREE Bottle of Roux Fanci-Full Rinse Temporary Hair Color product! This coupon is valid only at Sally Beauty Supply Stores. Simply present this coupon and give the cashier the coupon code 555120 if asked when you are checking out. Go here for their store locator.